Joseph Cardillo, PhD, is an inspirational speaker, sought after expert on energy teaching, and a recognized national leader in holistic healthcare. He is the best-selling author of several books in the fields of health, mind-body-spirit, and psychology. 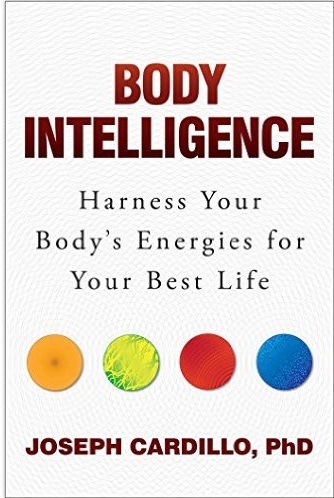 His books include Body Intelligence – Harness Your Body’s Energies for Your Best Life; Can I Have Your Attention- How to Think Fast, Find Your Focus and Sharpen Your Concentration; and the body energy classic, Be Like Water. In addition, he has co-written books for Harvard Health Publications. He appears as Football Hall of Famer – Michael Strahan’s – energy management expert in Michael’s new book, Wake Up Happy. Body Intelligence is currently being adapted for use by various institutions as a holistic training element to help reverse PTSD, depression and stress as well as build positive personal energy. Dr. Cardillo is an expert in Attention Training™ and creative thinking and has taught his methods to over 20,000 students at various institutions. His books have been translated into ten foreign language editions. He holds a PhD in holistic psychology and mind-body-medicine. 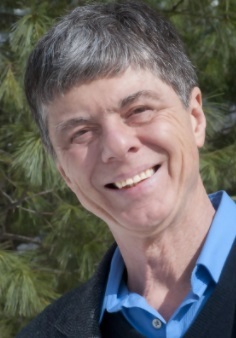 He is a regular contributor to Psychology Today and writes a health column for Live Happy magazine. I am all about research - mind-body science research. I am on a mission to conduct and coordinate new interdisciplinary research, with other sciences, including polytechnical resources for institutional, organizational, clinical, and ultimately individual whole person wellness. The teacher in me is about sharing good information with as many people as possible so they can start using it right away. So I love writing as well. This gives people access to information they can read at their kitchen table and start using right away. Having a deep sense of curiosity about things and their interconnections. I am currently working with a team of interdisciplinary researchers willing to explore new areas where mind-body research can make a positive difference. We are looking at improving human attention, focus, organization, memory, and strengthening emotions, as well as, eliminating anxiety, stress, insomnia, and PTSD. My aspirations are to either take this team or another on a seven year mission deep into interdisciplinary and poytechnical research to create noninvasive, no harmful side effect(s), solutions for the elimination pain and suffering – be it physical, emotional, and/or cognitive – and for the increase of positive energy and happier living for people across all borders. Meeting the people who have evolved my thinking and life for the better – most importantly my wife and family as well as teachers, colleagues, friends and other researchers (even those with whom I have disagreed). Earning a black belt in Kenpo Karate and teaching martial arts for over twenty-five years. What to do with old beliefs that aren’t really helping anymore. Assessing and presenting research/information that is inconsistent with one’s (or a group’s) conventionally accepted thoughts that are possibly more convenient, yet to some extent plateaued. Explaining to individuals (including myself) that it’s better to know that a particular concept or technique one is about to rely on is not what we have thought and perhaps comfortably relied on for long years, but at the same time that there are benefits to knowing this in order to little by little move forward in our goal to get to more solid information and eventually maybe even the truth. “Be Like Water.” This is the guiding principle/concept of the Tao Te Ching. Adirondack Mountains,; Plum Island, MA; Italy, Greece, and Israel. I would like to travel to the United Kingdom, China, Germany, South Korea, Japan, India, and Australia, in particular, and really most other world locations to work. Books, fine arts products (paintings, music collections, sculpture, fine arts of literature, performance- especially music and dance, high tech devices that have the capability to make life more joyful, healthier and better. Enjoying a nice meal with my family and friends.